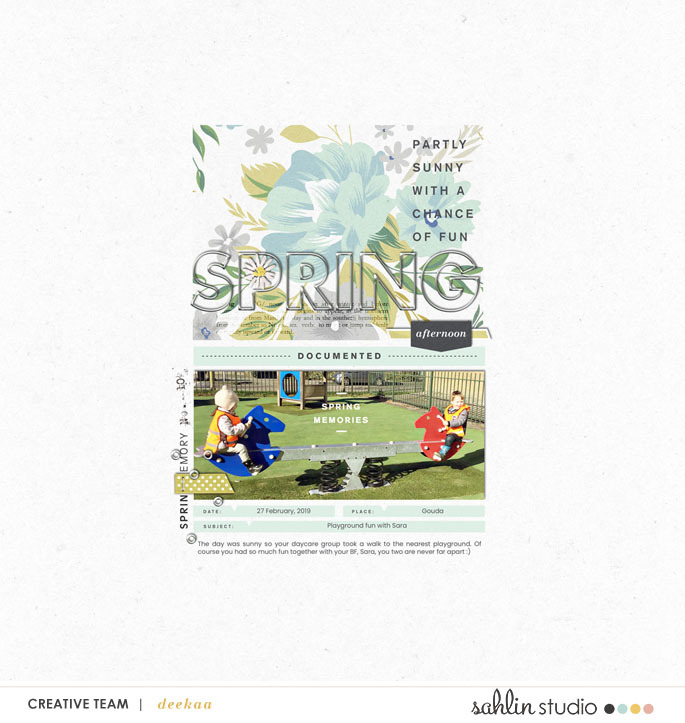 Oh, the beauty of Spring: the fresh air, the blooming trees, the green grass. 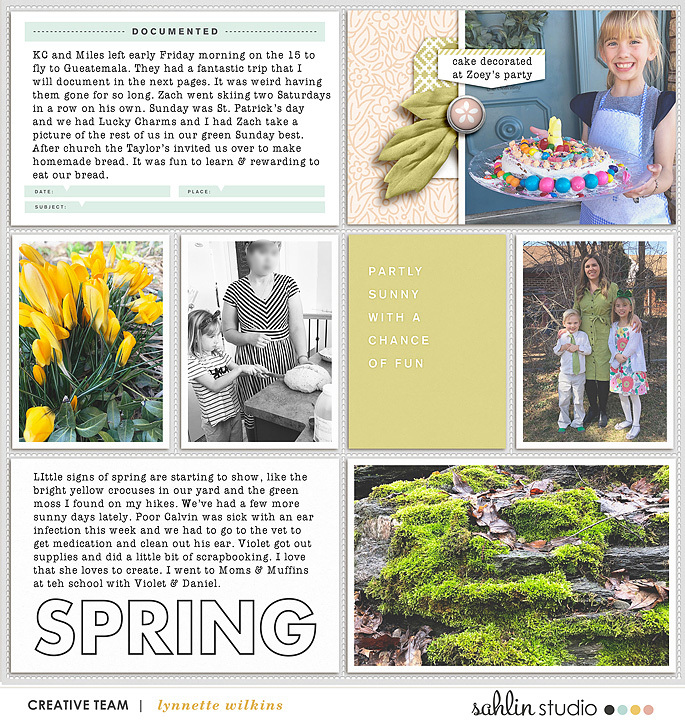 After the doldrums of winter, there’s something about the newness of Spring that begs to be enjoyed. 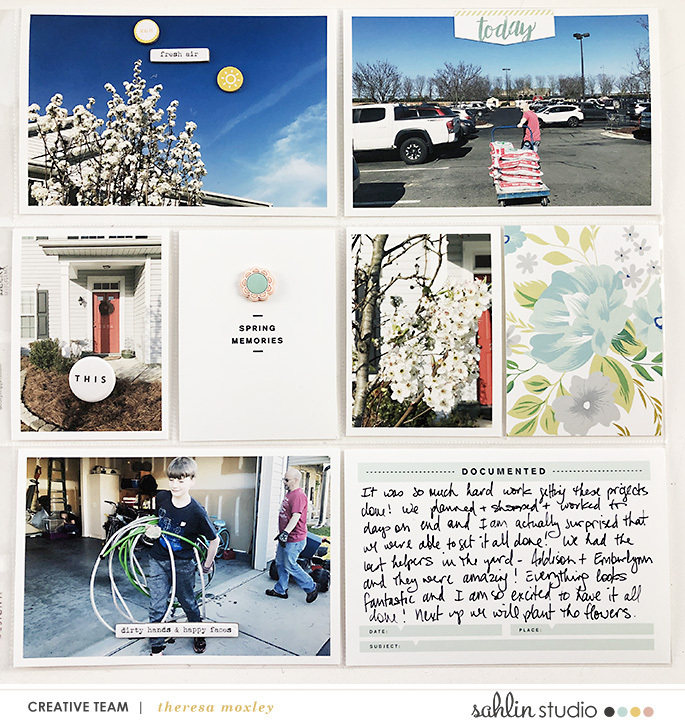 Tiptoeing through the tulips, splashing in fresh mud puddles, Easter egg hunts – all are perfect excuses to break out your camera and have a little fun in the sun. 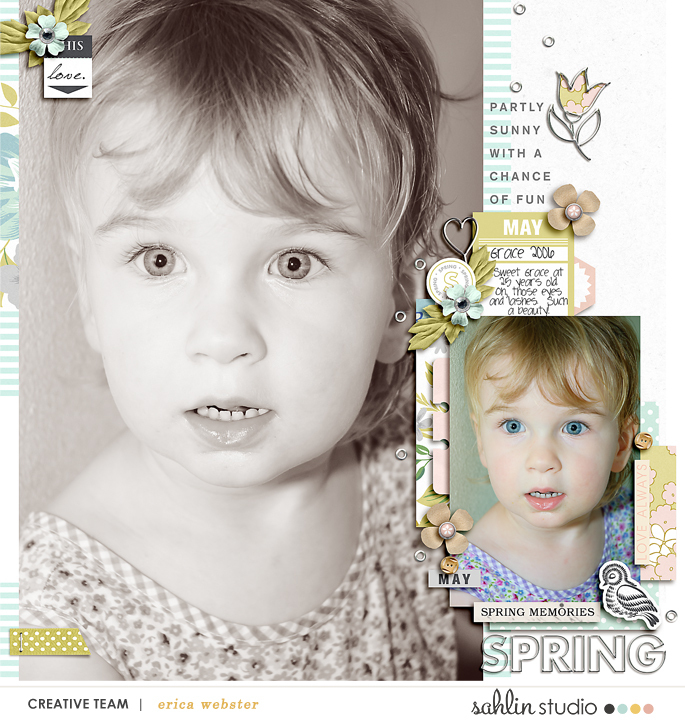 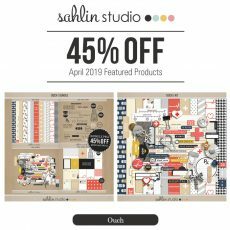 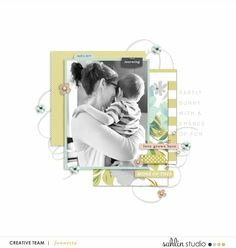 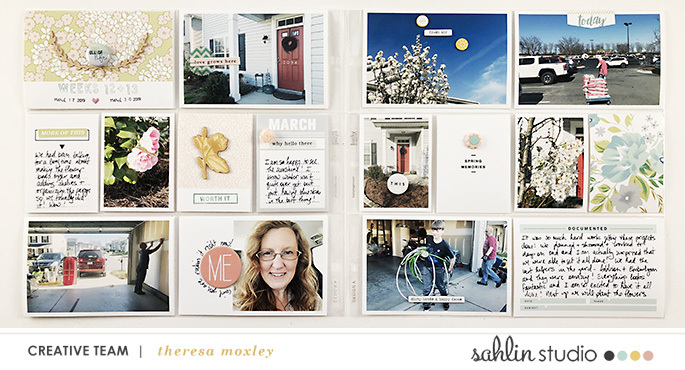 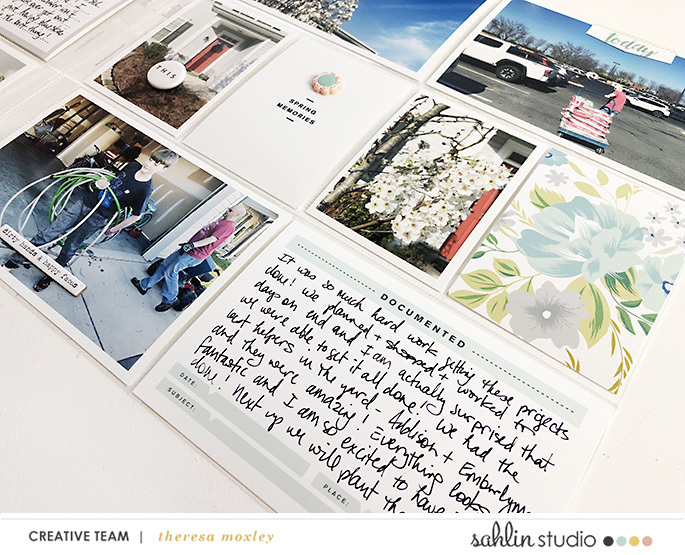 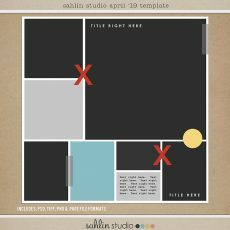 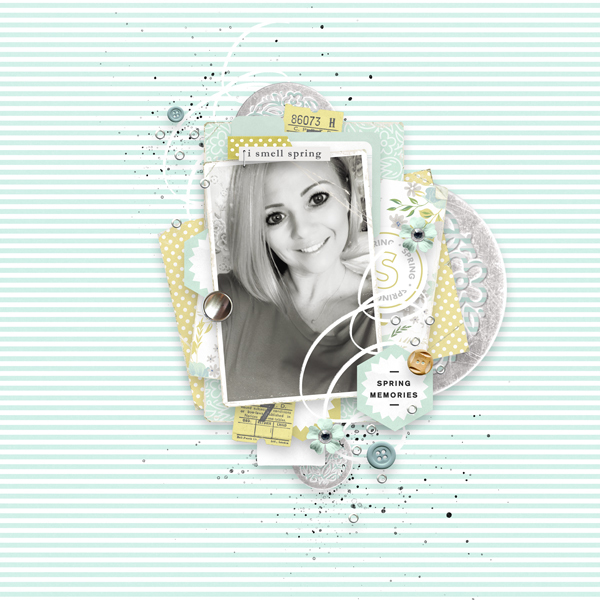 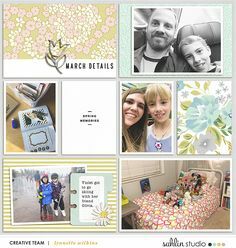 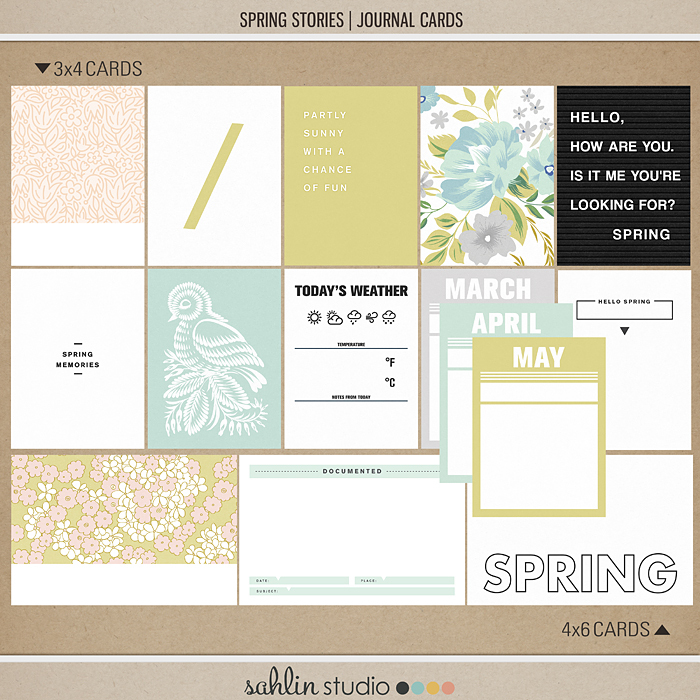 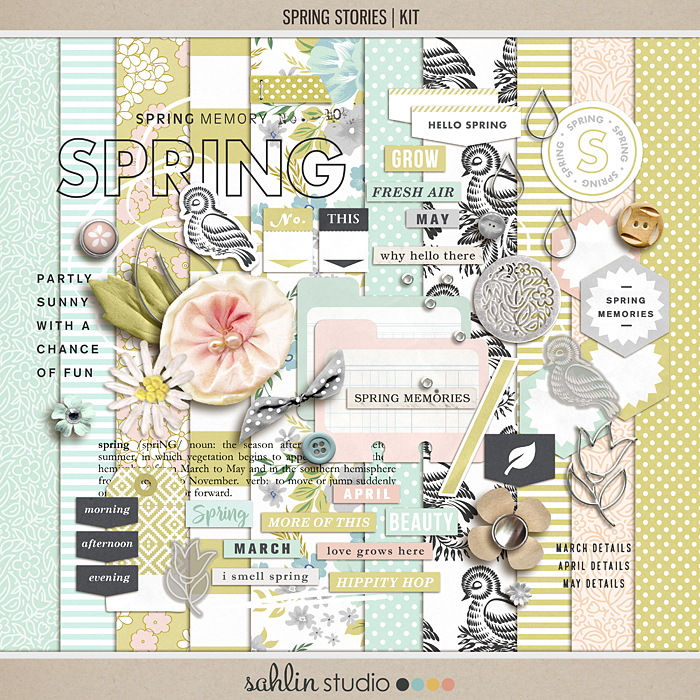 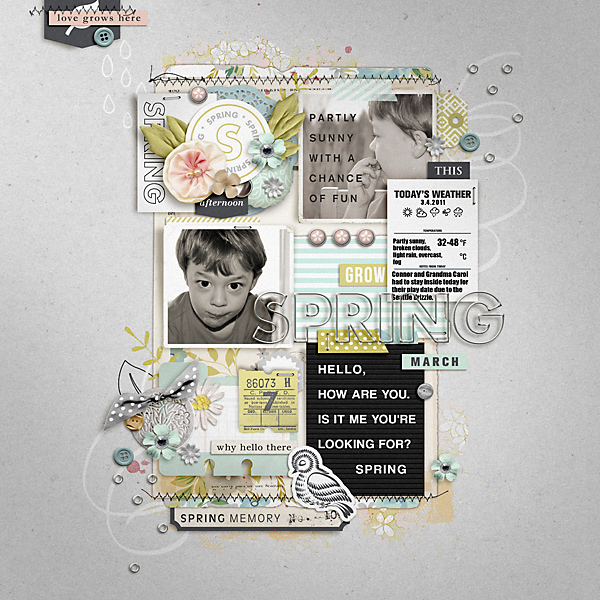 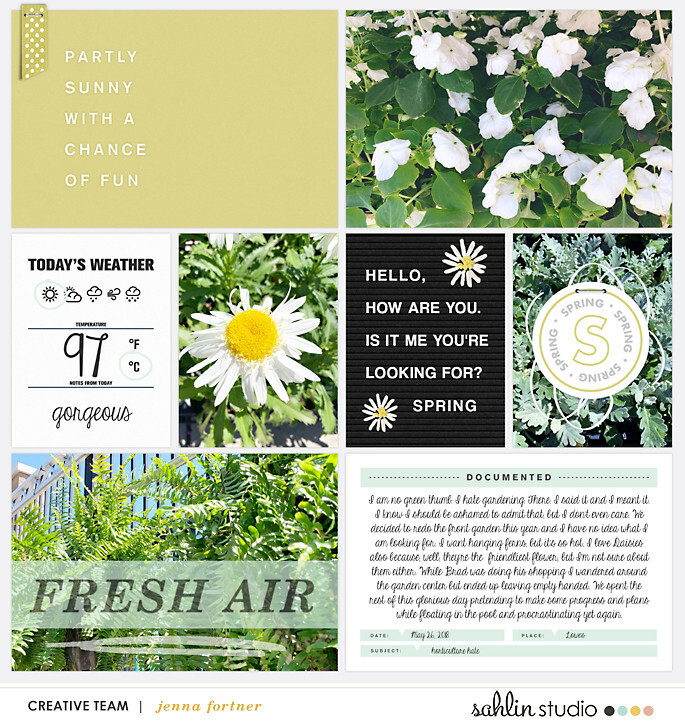 When it’s time to scrap those photos, my Spring Stories kit will help you get your scrap on. 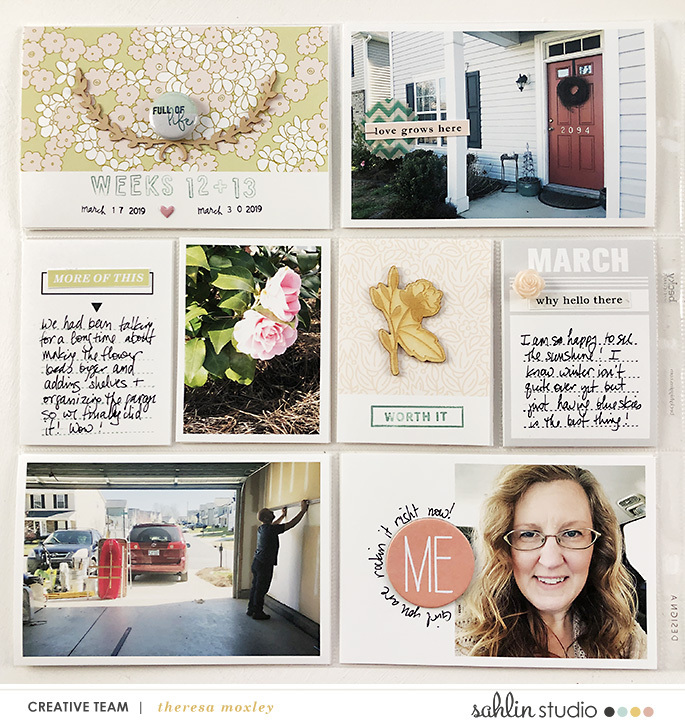 The second in my seasonal Stories series, this collection features soft washes of turquoise, green, pale peachy pinks and bright whites that are the perfect backdrop to all your favorite Spring memories!